RR vs RCB, IPL 2019 Buildup highlights: Marcus Stoinis is making his IPL debut. Other Australians who return to either of these two sides are Nathan Coulter Nile and Ashton Turner, although both players are not playing today. Kohli says they would have batted first anyway so both captains are happy. Sanju Samson is injured, Stuart Binny comes in. Varun Aaron in for Jaydev Unadkat. For RCB, Akshdeep Nath, Navdeep Saini and Marcus Stoinis are in, Shivam Dube, Prayas Ray Barman and Colin de Grandhomme are out. The Australian all rounder has received a new RCB cap and so we could expect him to make an appearance today. In fact both these sides are benefitting from the return of Australians who are returning from the ODI series against Pakistan. Stoinis and Nathan Coulter-Nile for Bangalore and Ashton Turner for Royals. Fans here in India won't remember Turner too fondly. Chennai Super Kings’ ingenuity with the wet ball, Ajinkya Rahane’s reading list, and insightful and funny commentary in Tamil from Kris Srikkanth & Co., read on for more nuggets from the last week of IPL. The RCB superstar will be captaining the team for the 100th time today. He joins MS Dhoni and Gautam Gambhir to have played 100 or more matches as the captain and, as one would expect, has the worst record among the three. In fact, Kohli has the poorest record among players who have captained more than 50 matches. Dhoni's win percentage as captain stands at 60.24% while that of Gambhir is 55.42% and Kohli's is 46.87%. Read preview to Match 14 of the Indian Premier League between Rajasthan Royals vs Royal Challengers Bangalore. Quite a few Rajasthan Royals players are headed towards milestones in their career. Another game, and a few more feathers for our players to add to their cap! Rajasthan Royals vs CSK: Ajinkya Rahane, Jos Buttler, Sanju Samson, Rahul Tripathi, Steve Smith, Ben Stokes, K Gowtham, Jofra Archer, Shreyas Gopal, JaydevUnadkat, Dhawal Kulkarni. Royal Challengers Bangalore vs SRH: Parthiv Patel, Shimron Hetmyer, Virat Kohli, AB de Villiers, Moeen Ali, Shivam Dube, Colin de Grandhomme, Prayas Ray Barman, Umesh Yadav, Mohammed Siraj, Yuzvendra Chahal. Conditions wise, expect a clear day with no chances of rain, and a wicket conducive to run scoring. Rajasthan Royals and Royal Challengers Bangalore are neck-to-neck against each other in their overall meetings. Royals have won 9 games, while RCB have won 8. Royals will be looking to extend the lead by one more game. Last year, the hosts won both their away and home matches against RCB. However, in Jaipur, it is even-stevens between the two teams, with both winning 3 games each. Virat Kohli: "The pitch will be nice in Jaipur against the Royals. We need to bring our A-game, like we did against Mumbai and play with that kind of intensity. If we go through the motions, we need to do the regular basic stuff, and get results our way and start winning games in the tournament - the next game should be that game for us." Ajinkya Rahane: "If we win the smaller moments in T20s we will do well. We have played well in the last three games and hopefully with some luck we'll be able to turn it around." 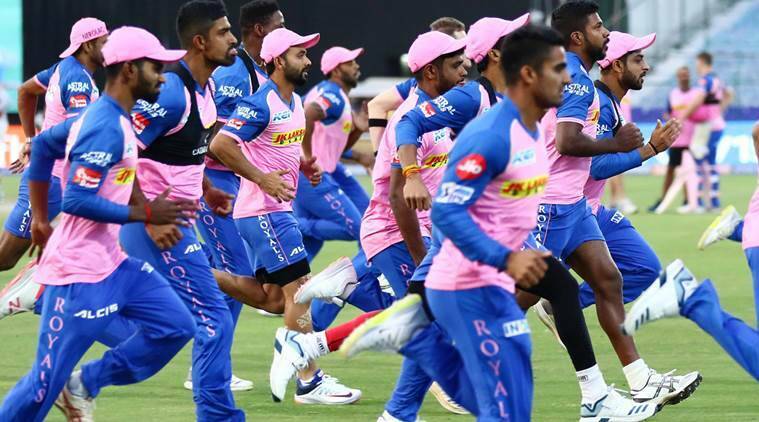 Rajasthan Royals and Royal Challengers Bangalore are the two teams who are yet to win a single match in the Indian Premier League (IPL) 2019. On Tuesday as the Royals hosts the Challengers, both the teams will be desperate to register their first win of the season and get off the mark. "We win as a team and we lose as a team. If we win the smaller moments in T20s we will do well. We have played well in the last three games and hopefully with some luck we'll be able to turn it around," said Royals skipper Ajinkya Rahane had said after the loss to CSK. Rajasthan Royals host Royal Challengers Bangalore in Jaipur on Tuesday. Both sides are winless so far in the tournament. One of them will open their accounts today. Who will it be? Here is all the action ahead of the match including predicted Playing XI.